LAID - Legally Armed In Detroit (Michigan CPL CCW Classes): Michigan Concealed Pistol License FAQ: Do You Have Any Info On The Michigan TASER Law? Michigan Concealed Pistol License FAQ: Do You Have Any Info On The Michigan TASER Law? Q: Hi Rick, do you have any links or information on the Michigan Taser Law? Thanks. A: For the most part, the CPL Statute was updated to include TASERs. Other than the CPL Statute itself, I would suggest the "Michigan State Police Update #100" as a good resource. 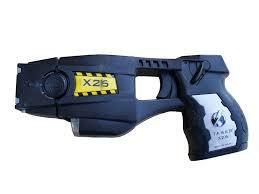 It gives a decent overview of TASERs and also lists MCL references. Check it out.